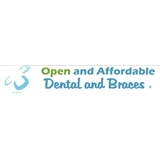 Open And Affordable Dental Brighton (Aurora) - Book Appointment Online! At Open and Affordable Dental, our mission is to provide the best possible care that is both convenient and affordable. We consider ourselves the hardest working, most efficient, and most caring dental team. We are constantly improving, striving to create the perfect patient experience and dental office environment. Seriously, this is the best experience we have had! Every visit we are treated so nicely! The staff, the doctors, everyone is amazing! Highly recommend this office! Dr. Barkoff and his staff are very personable. I first went in to see them for a root canal it was an emergency and they were able to get me in that day. They did a great job working with my work schedule due the the longer hours and days they are open. I highly recommend them, and the costs of procedures are definitely lower than many other dental offices and the quality of care is top notch. Visit was on time, everyone was very kind and the service was excellent.